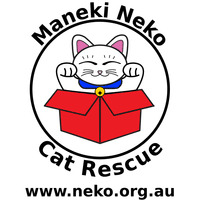 Maneki Neko Cat Rescue works community groups, business’s and local councils to improve the welfare of cats and kittens, reducing euthanasia rates and increasing re-homing rates by finding loving homes for healthy de-sexed cats and kittens. To improve the welfare of less fortunate cats and kittens! 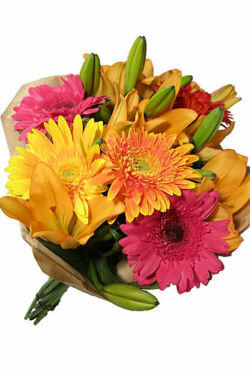 The Fun, Bright Bouquet was chosen to support Maneki Neko Cat Rescue because it's one of our most popular bouquets and reflects the fun nature of cats. Cats obviously power the internet and provide lots of laughs, so we need to protect the less fortunate ones. Maneki Neko Cat Rescue is a cat rescue organisation run entirely by volunteers and is a registered charitable animal welfare organisation. Maneki Neko is specifically focused on working collaboratively with the community, community groups, business’s and local councils to improve the welfare of cats and kittens, reducing euthanasia rates and increasing re-homing rates by finding loving homes for healthy de-sexed cats and kittens. The name Maneki Neko comes from the Japanese symbol of success, prosperity, good health and happiness.